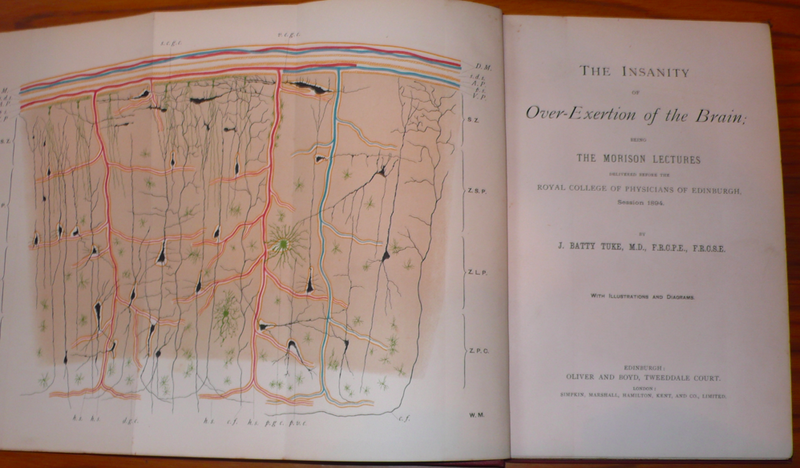 These thoughts were stimulated by my rediscovery of a book that I had forgotten that I possessed: The Insanity of Over-Exertion of the Brain, published in 1894 by the wonderfully-named J. Batty Tuke. In the next post I will offer a few extracts – then you can make up your own mind on the subject. NOTE: 12th November, 2016 My good intentions to publish a few extracts were thwarted by travel, and now the book is far away. But I won’t forget my promise to provide extracts, although it won’t be for a few months!